As 2016 has come to an end, it is worth looking back at an eventful year for the biotech and drug development landscape. We want to reflect on the year and summarize the big changes and unexpected shifts that shaped the Early Access landscape and drug development in 2016. On January 12 during the State of the Union, Barack Obama announced the Cancer Moonshot initiative, commissioned to make more treatments available to more patients and improve detection abilities. Steered by the so-called White House Cancer Moonshot Task Force, the heads of a many relevant offices and departments organize to better harness resources, personnel, corporate incentives and federal funds to propel development of cancer cures. A large part of the funds will come from the 21st Century Cures Act, passed by the US congress early December, which will set approximately USD4.8 billion aside for cancer and brain disease research as well as additional funding for the FDA and opioid addiction treatment. Next to cancer cure development, one of the industry’s most debated topics in 2016 was the approval procedure regarding Sarepta Therapeutics’ drug for Duchenne Muscular Dystrophy (DMD). Questions were raised whether or not the novel drug should be reviewed under accelerated approval and whether the FDA might have lowered its approval standards for this rare disease drug. After the April 2016 vote, where an FDA committee narrowly chose not to approve the drug, at the end of May the FDA announced it would formally delay its decision to allow more time to consider issues around data, evidence and scientific rigor. After ultimately receiving approval in September, many discussed what this signals for the future of rare disease drug development. In the aftermath of the approval, the FDA stated that the path taken was not a good example for other development programs and they don’t want other companies to follow this example. Unlike in the case of Sarepta’s DMD drug, which remains less expensive than analysts expected and is said to be in the middle price range of rare disease drugs, the rising costs of new treatments received a lot of attention in 2016. For the first time yearly national health spending in the United States has surpassed $10,000 a person and a large part of this number can be assigned to the fast growth in drug pricing. A much debated case in the discussions about drug pricing was Mylan pharmaceuticals’ EpiPen. The company faced several lawsuits regarding the pricing of their product as it has risen about 450% since 2004. Several others followed and were being sued for fixing prices of generic drugs. The Right-to-Try legislation in the US gives terminally ill patients the right to try investigational medicines that have not yet received full FDA approval. These laws are already in place in 32 states and under consideration in 18 others, with the last state, California, who adopted the act last September. On May 10, the act was presented in congress and received support from the republicans. Although not passed by the senate yet, this might become more important with the election of republican president Trump. The Canadian newspaper, The Ottawa Citizen, published an article that the movement is also spreading across Canadian borders to fight for access to treatments not yet approved by Health Canada. With increasing pressure to improve how physicians and patients can get earlier access to medicines, the FDA put in place the long awaited Individual Patient Expanded Access Application half way through the year, a form that simplifies the process by which physicians can request approval for using investigational drugs for individual patients. The FDA said it would take a physician approximately 45 minutes to fill out the form, which is a fraction of the often mentioned 100 hours associated to the previous form. During Donald Trump’s election as president of the USA, his views and plans for healthcare were discussed widely in a variety of communities. He’s expected to make quite some changes to the working mode of the FDA, saying he would “cut the red tape”. In response to the currently 4000 drugs awaiting approval. His plan includes speeding up approval of life-saving medications as well as easing restrictions for applications of drugs that have received authorization in other geographies. From the US, we go to Europe, where as of August 2016 the European Medicine Agency is supporting companies considering the adaptive pathways approach. The approach seeks to balance timely access for patients with the need to provide adequate information on the benefits and risks of the medicine itself, with the aim to achieve better patient access to important medicines. The concept is only applicable for medicines that are likely to offer help for a patient population with an unmet medical need, and where the criteria for adaptive pathways apply. These criteria are an iterative development approach, gathering evidence through real-world data and the involvement of patients and health technology assessment (HTA) bodies. Last year increasingly surfaced the lack of transparency regarding clinical developments, i.e. only 19 out of 100 originators were publicly posting Expanded Access policies for their drugs in development on their website. In September, the UN called for a global action on clinical trial transparency. In their report they called on governments worldwide to pass legislation requiring clinical trial methods and results to be fully reported and made available publicly. Following this, the EMA opened up clinical reports for new medicines for humans in October. The Department of Health and Human Services in the US also responded to the report. Becoming effective on 18 January 2017, the final rule of the clinical trials transparency act will push sponsors and originators to provide and register data related to both clinical trials and expanded access on clinicaltrials.gov. 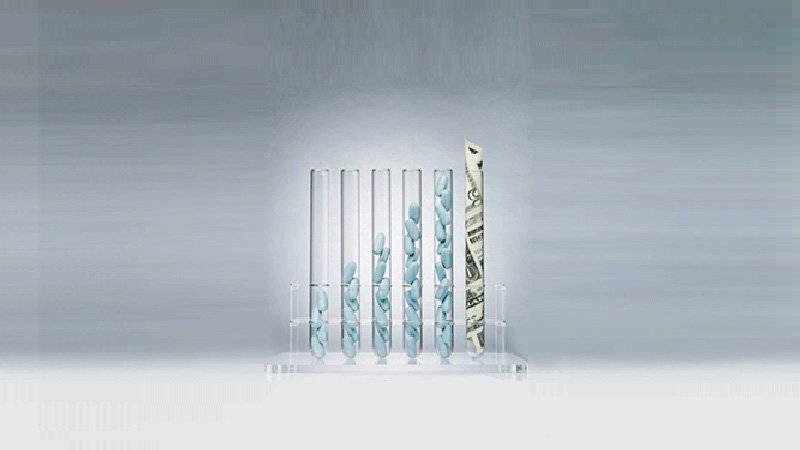 Sponsors of clinical trials have to prepare Expanded Access records within 30 days of starting a clinical trial, unless they decide not to make products available for Expanded Access. If a sponsor decides to make a drug available under Expanded Access, a description of the explicit procedure for requesting the investigational drug must be made public. Moreover, Expanded Access programs have to be registered regardless of size and ambition, meaning that even individual patient programs have to be registered. This will make patients much better equipped to search and apply for Early Access Programs when they have no other options left. 2016 stood in the face of increased calls for more transparency in outcomes and processes, whereas institutional organizations simplified administration and increased investments into fostering development of cures. Most of last year’s developments are positive for physicians and patients suffering from life threatening or debilitating diseases who are in high medical need. 2017 will show the first effects of Trump’s presidency, pharma’s reactions to transparency calls as well as show how quickly initiatives such as right-to-try and the cancer moonshot can deliver results to patients.